Need a dumpster rental Chicago? Use Bolt Scavenger Service, a 3rd Generation Family operated business that offers excellent service along with competitive pricing. 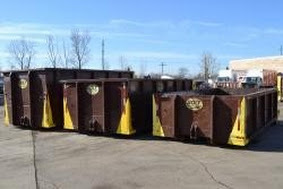 We offer 4 different size dumpsters that can handle any project you need. Whether it is a household cleanout, kitchen and bathroom rehab, full gut rehab, roofing, additions, or landscaping, we can provide you the right roll off dumpster for your job. We are a locally owned company that started in Stickney then moved to a larger facility in Cicero and have been operating for 48 years. Whatever the project is, our family will gladly get you the right dumpster. Bolt Scavenger offers same day dumpster rentals for orders placed before 9 am. We have dumpster rental for all of Chicago and its surrounding suburbs. Being located in Cicero, it gives us excellent opportunity to provide lighting fast service to towns such as Cicero, Berwyn, Forest Park, Oak Park, Stickney, River Forest, Lagrange Park, and many more. Bolt Scavenger Dumpster Rentals are here to help you. When the phone rings we answer it every time. No automation, no customer service reps. Deal with a locally owned company and not a customer service representative from a large corporation. Our experienced drivers are friendly, courteous, and know what it takes to provide the best experience to our customers. We treat every customer like they are our best, whether you order 1 dumpster or multiple dumpsters. 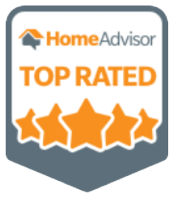 We are “At Your Disposal.” We promise to provide you with the best experience possible.